The next stop on mine and Brandi's itinerary was Palm Springs, California. 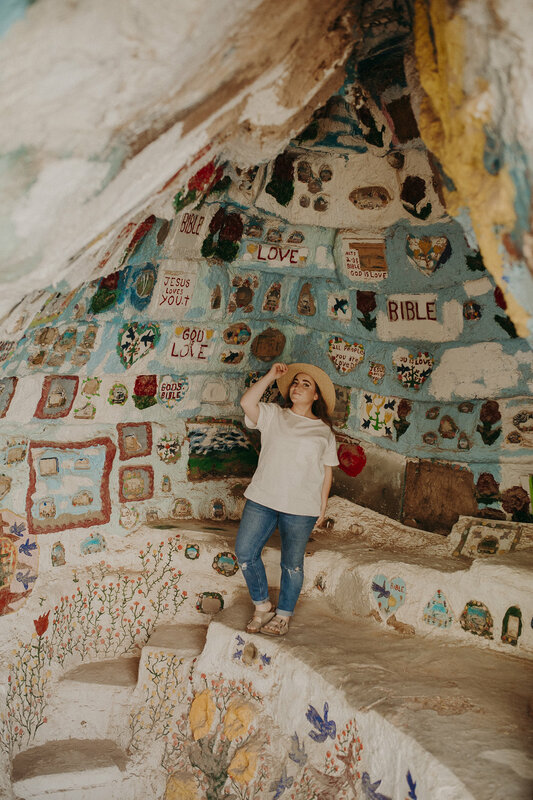 But before checking into our Airbnb, we drove even farther south to check out a couple locations that both of us had always wanted to see - Salvation Mountain and The Salton Sea! Both of these locations are a bit (or a lot) on the forsaken side, but beautiful and unique, nonetheless. 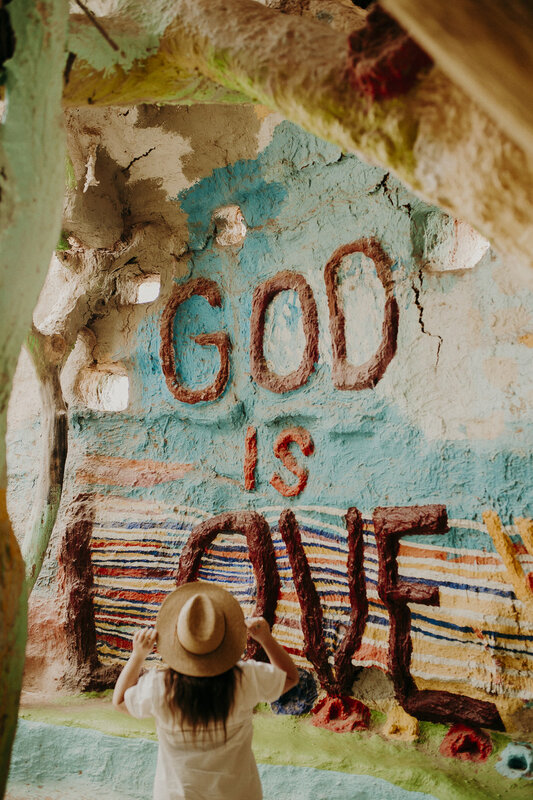 First up was Salvation Mountain. 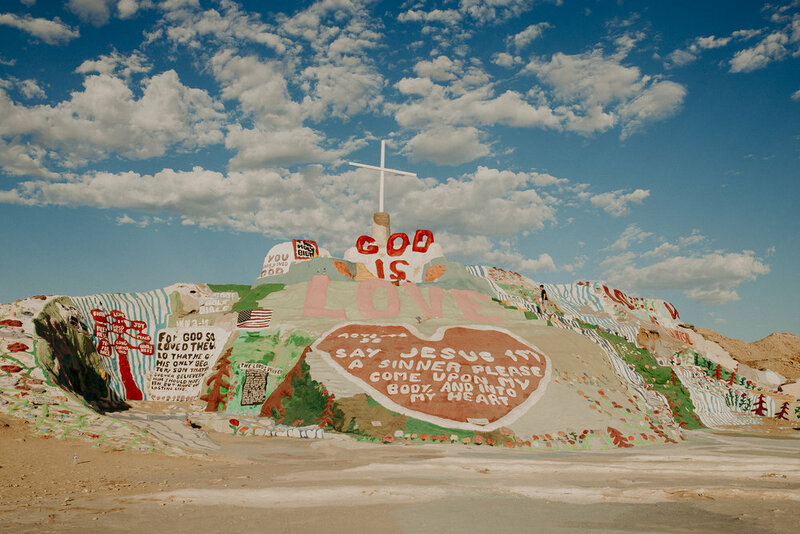 This "mountain" is an art project created by Leonard Knight - a tribute to God that is made completely out of adobe clay and donated paint. I was so excited to finally be seeing it in person, but with a temperature of 116°, neither Brandi nor myself could handle being away from the comfort of my car's AC for very long. We wandered around for as long as our bodies would let us and took as many pictures as we could before we were completely red in the face, then hopped back in to head over to The Salton Sea. The Salton Sea was created by accident, when the Colorado River flooded over and broke through the canal gates into Imperial Valley. At first it became a hot spot for tourists, an oasis in the desert. But after an increase in agricultural runoff polluted the sea, most of the surrounding towns were abandoned, leaving behind only empty homes - which have begun to fall apart - and a very stinky lake.